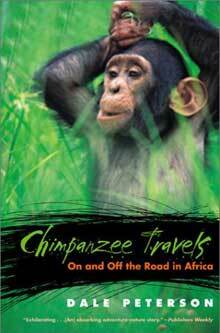 This book is based on three trips I made looking for chimpanzees in various parts of East, West, and Central Africa. I was very lucky to be invited to a number of research sites and chimpanzee sanctuaries as well as (towards the end of the book) a newly created national park in Congo-Brazzaville where the chimpanzees had apparently never before seen humans—and so I had my first, and I hope last, experience of knowing what it feels like to be an alien just arrived from another planet. It’s pretty scary. It has been translated into Dutch, and both the Dutch and English versions were republished in later editions.